If someone asked you whether intelligence leads to financial success, chances are that you would say yes if you think about it in terms of a higher income. It makes sense that the more you know and the better you can process information and make decisions, the more likely you can use these abilities to make money. But actually, if we look at overall wealth, this isn't the case. One study looked at people who had an intelligence level that was below average. It found that for the most part, they were as wealthy as the people who were in similar circumstances but scored higher on the same test. Perhaps also surprising was that some of the very intelligent participants in the study were experiencing major financial problems. The result seems to say that just being smart doesn't make you financially stable and wealthy overall. How then, does a person's intelligence relate to their success in the financial world? To make sense of how IQ relates to wealth, we first have to define what wealth means to people. Wealth for most people does not simply mean getting a higher income. Although we all probably want to earn more, how we manage that money, invest it and keep it steady means more to wealth than simply wages. It means creating enough income and using it wisely to ensure a safe and secure retirement. A person with wealth is one who can maintain a steady income and manage their money, allowing them to handle the increasing costs of living. Even though a higher IQ score could ultimately mean a person gets paid more than a person with a lower IQ score, it does not help for all the other indicators of wealth. Having a high IQ won't put you under a safety net when it comes to problems with your finances. 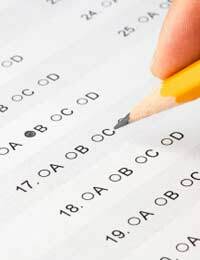 In this study, those who participated were given IQ testing. They also had to answer questions regarding their income. One question involved full disclosure of wealth, which would include assets and similar aspects. Credit card information had to be disclosed as well as whether these cards were currently at their maximum limit. Participants even had to answer questions about whether they had missed bill payments or declared bankruptcy. Although the 'smarter' participants did tend to show higher incomes, as expected based on other studies, there it ended. Measures such as a person's total wealth and financial problems indicated that those who had lower intelligence were faring just fine in comparison with those of higher intelligence. Researchers still are not sure exactly why the intelligent, high-earners aren't scoring better on measurements of wealth. One school of thought is that people on lower incomes are more cautious with their money and may be more likely to try to save money with each pay cheque. Follow-up studies are planned to find out more. For now though, you can be assured that if you have a lower IQ, it doesn't equate to poor financial wealth. But if you plan to earn a higher income, then finding ways to enhance your IQ could prove beneficial.